With her mother’s passing, Alexandra Bolton gave up on love to take care of her family. Now, with the Bolton name in disgrace due to her father’s profligate ways, marrying an elderly squire might be the only way to save her family from absolute ruin. 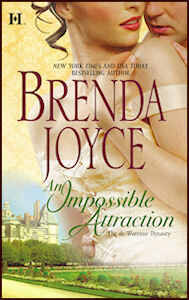 But when she meets the infamous Duke of Clarewood, old dreams—and old passions—are awakened as never before. Yet she cannot accept his shocking proposition! “Thank you,” Alexandra managed, hoping he hadn’t noticed that she was trembling. Her nerves were out of control. It was almost impossible to believe that she was embarking on an affair with the duke of Clarewood. Alexandra paced. She was breathless, of course she was. In a few hours, she might be upstairs, in his bed. She wasn’t ashamed now, or mortified, she wasn’t anything except anxious. And he would be a good lover, she was certain. She knew he could be kind; he’d been kind to her the moment they’d met—and more than one time. She needed him to be kind now. And if he didn’t truly care for her—and how could he? They barely knew one another—she needed him to pretend affection. But he was very experienced; he’d been rumored to be attached to various beautiful women for years. Alexandra was certain that he would put her at ease. In spite of his illicit affairs, he was obviously a gentleman. He nodded and sauntered off. “Having him see me here is not discretion!” Unthinkingly she started for the door. She froze, looking up into his smoking eyes. “I have been anticipating our rendezvous. I hope you have, too,” he murmured. His smile deepened, revealing a dimple. “You have no reason to be nervous,” he said. He slid his thumb along the high curve of her cheek. Alexandra shuddered. Sensation went through her entire body. What did that mean? She wondered, thinking of Lady Witte. “Do you know Lady Witte?” she heard herself ask. She flushed, shaken. Was he kind and considerate? It seemed so. Maybe she had misjudged him on every score. On the other hand, there his relationship with Lady Witte. “Please, finish,” he said softly.